Oded Huberman is a Certified Master of Stage Technology with a background in European contemporary theater and dance performance and extensive experience touring internationally. He holds a BA in Dance from the Folkwang Universität in Essen, Germany. After finishing his career as a professional dancer with Neuer Tanz, Huberman completed a three-year apprenticeship in brass metalworking and then decided to return to the theatre by joining the founding team of PACT Zollverein Choreographic Center in 2000 where he served as Master Craftsmen of Stage Technology and representative technical director for more than a decade. While at PACT, Huberman produced and operated shows for some of the best known companies and artists in Europe including Anne Terese de Keersmaeker, Need Company, Lloyd Newson, Meg Stuart, Forced Entertainment, Rimini Protokoll, Jerome Bel, Xavier Leroy, Ultima Vez, Jonathan Burrows and many others. 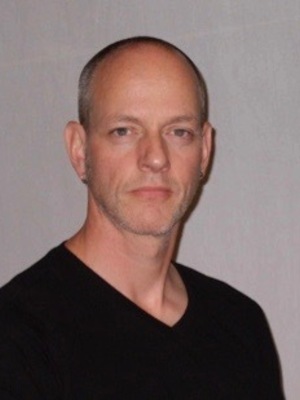 He regularly served as a master teacher for theater technology apprentices at PACT and has taught as visiting lecturer of tech/production at the University of Giessen, Germany at the Department of Applied Theater Science. Since 2004 he has also served as technical director and tour technician for Mette Ingvartsenperformance company on more then 70 performances in Europe including major festivals such as Festival d´Automne, Paris; Springdance, Utrecht; Tanz im August, Berlin; Steirischer Herbst, Graz. In 2011 he was managing tour technician for Norah Zuniga Shaw’s Synchronous Objects: Degrees of Unison interactive media installation tour of Asia and Europe produced by the Goethe Institute. His research interests are in the field of interdisciplinary performance and its digital design and operation.